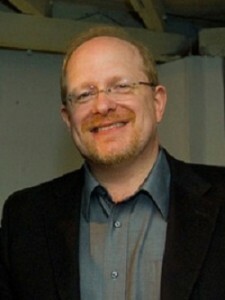 Mark Waid began his career as an editor at DC Comics in the 1980s, before moving into writing and winning acclaim for his work on many of the most iconic characters at the major publishers. In 2012 however he sold his personal collection of “Silver Age” comics to fund the digital start up Thrillbent, which he co-owns with his business partner, TV writer/producer John Rogers. The site, which dubs itself “Comics for the rest of us,” is a digital-first publishing start up offering serialized editions of original comics, and is helmed by an a-list of top comics professionals. The concept is to be able to “experiment” with the medium, rather than “kill print.” Recently Publishing Perspectives‘ spoke with Waid about why he struck out on his own, the challenge of finding a new audience and the creative possibilities of digital media. As Waid plunged into digital publishing he experienced push-back from the highly consolidated retail market that regularly crossed the line into extreme hostility. 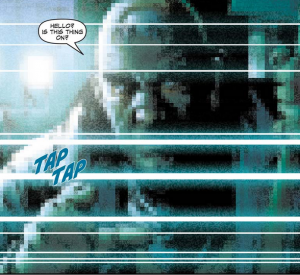 So is Waid now a digital mogul, who will be licensing his properties to movie studios for millions a la Marvel or DC? Waid remains a writer however, and he explains that as the venture has progressed, so the creative aspects of working digitally have become more fascinating for him than the business challenge. Writing for digital has changed the way he thinks about the optimum shape and size of a page, while he has been experimenting with effects impossible in print, such as making small alterations to panels at the click of a mouse, having images disappear and reappear, or suddenly shifting the focus in a panel from the foreground to the background. Waid intends that by the end of fall, Thrillbent will release new content on the site every day. But with his duties as digital distributor/impresario, plus his ongoing creative work for traditional print publishers, how does he find the time to do it all? DISCUSS: Do You Absolutely Need Social Media to Sell Books?